Give Our Blinded Veterans their Independence Back! But we can’t do it alone. We need your help to ensure that these veterans are welcomed into their communities and have everything they need. 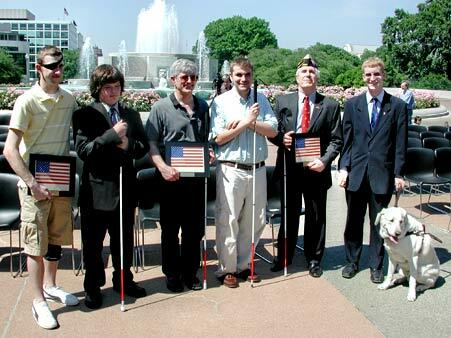 Since World War II, the BVA has been assisting our blinded veterans through a number of programs, including advocating for research into the treatment of blindness from traumatic brain injury. Our motto, “blinded veterans helping blinded veterans,” is more than just a saying—many of our core team are veterans who have lost their sight due to their proximity to explosions or other accidents that resulted in damage to the parts of the brain that control vision. We help our blinded veterans in a number of different ways. This help is especially vital to those who have recently lost their sight and are uncertain how to navigate the difficulties that come with the disability. For our blind service men and women, we begin by assisting them with the paperwork and requirements that make up the VA claims system. This is often difficult, especially since blind veterans either need the assistance of someone who can read the forms or need to request information in a format they can read (Braille or computer-read text). Our field service officers, not only assist veterans with the paperwork, but teach them to navigate the system. Operation Peer Support is another program we offer that helps blinded veterans transition into their new life. We pair veterans who are returning home with limited or no sight with others who have faced the same challenges. Some of our services are aimed at communities. For example, our educational programs help raise awareness of issues those who have limited or no vision face on a daily basis. We talk to the public about how they can help our veterans. We also advocate on their behalf, working with the VA and the government on policies and services that our blinded veterans need. Our programs aren’t all focused on the big picture, either. We also help local communities when disaster strikes. For example, when Hurricane Harvey rolled through Houston in 2017, it resulted in five days of heavy rains and winds. 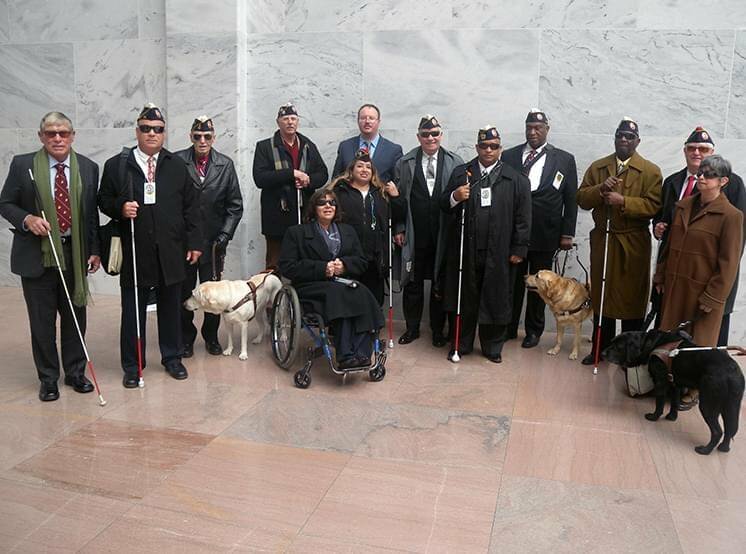 Millions of people were affected, including over 1,800 veterans with vision impairments. The BVA mobilized immediately. We offered cash cards to those who had lost their homes or jobs. For many veterans, it was aid that could not have come at a better time. We assisted veterans with FEMA paperwork and ensured that they had the resources they needed to live. While we strive to offer as many services to blinded veterans as we can, the truth is that we are often limited by funding. Without your help, we cannot assist our veterans nor advocate on their behalf. Please consider making a donation to our programs. Only through your help can we give our blinded veterans the assistance they need.